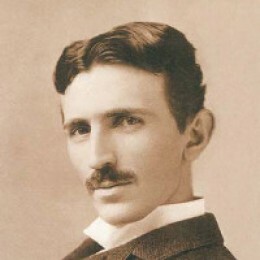 Nikola Tesla was a Serbian-American inventor and visionary. But his nationality is in question. Some people believe that he was born on the planet Venus or aboard a spaceship as it headed from that planet to earth. This would make him a Venusian-American inventor. He was instrumental in harnessing the hydroelectricity of Niagara Falls, he pioneered Alternating Current (which was safer than DC), and envisioned a wide array of inventions to come. He worked on death rays and force fields to protect entire countries. He saw a day when we would do away with wires and beam electricity wherever it was needed. 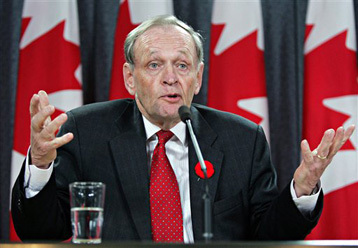 And he also believed that he was the first person to receive signals from intelligent life in outer space. At the beginning of the 1930's Tesla was in Quebec demonstrating his wireless transmission of electricity. Using three transformers, the current is said to have travelled through the earth to a distance of ten miles. He was recreating the much more famous magnifying transmitter experiments that took place in Colorado Springs 30 years prior. Tesla was adamant that his inventions would one day be adopted by future generations and continued to persist in his experimentations. In 1899 while working with a Tesla coil receiver, the scientist thought that he had made contact with beings who were not of this world. The signals appeared in groups of clicks and seemed to have an intelligent basis to them. Many people today think that he simply did not understand the equipment that he was working with or that these signals had a natural origin. 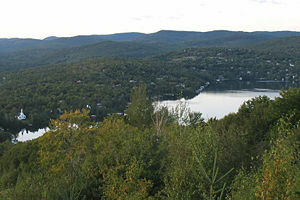 Tesla's last assistant was Arthur H. Mathews who lived in Lac Beauport. Mathews claimed to have used the teslascope to communicate with people from Venus and that they began to visit him every other year from between 1941 and 1962. He was relieved to find that these Venusians look exactly like regular humans.